Are you thinking about installing wood floors in your home? If so, you may be surprised to learn that you have more than a few decisions to make. In addition to finding the right aesthetic option for your home, it’s also important to choose wood flooring that can stand up to the traffic and everyday wear and tear in your home. That’s why, in our blog series, Your Guide to Hardwood Flooring Types, we’ve covered everything you need to know to make the right decisions for your floors, including deciding between solid and engineered, prefinished and unfinished, softwood and hardwood, as well as wood species. Today, we’ll be finishing up this series by going over the last decision you’ll need to make — choosing a finish. Why is finding the right finish important? There are many different types of hardwood flooring finishes to choose from, and they can affect the outcome of your flooring installation in many different ways. Not only will the finish you choose have an impact on how durable your hardwood flooring is, and how well it can stand up to traffic and other abuses, but it also plays a big role in the appearance of your floors. 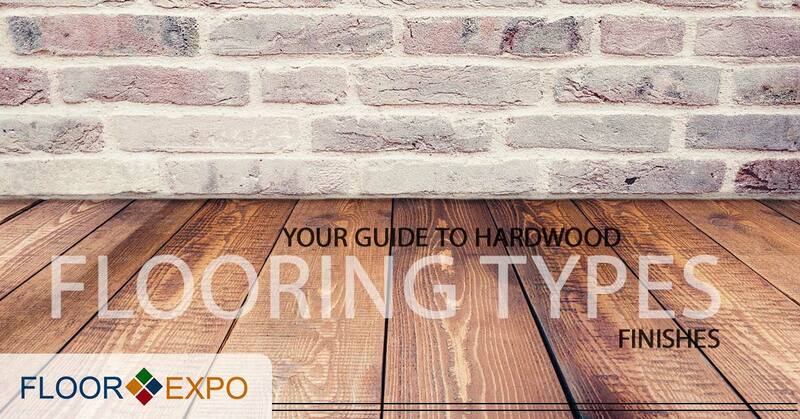 Here are the most common hardwood finishing options to choose from. 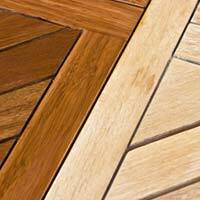 Polyurethanes of all varieties are some of the most popular finish options for today’s wood flooring enthusiasts. Water-based polyurethane finishes contain plasticizers and synthetic resins that can make your floor noncombustible, resistance to moisture and incredibly durable. Unlike oil-based polyurethane finishes, water-based finishes dry clear. Combining synthetic resins with plasticizers and other protective ingredients, oil-based polyurethane finishes can make your floors extremely durable and easy to maintain. Please note that, if you apply oil-based polyurethane to your floors, it will give them a slight amber shade. If you’re looking to finish wood flooring in an area of your home that gets more moisture and humidity than other areas, consider using a moisture-cured polyurethane. These finishes are solvent-based and moisture-cured to make your flooring more durable and give it added resistance to liquids. This finish is a little more difficult to apply, so it’s best left up to the professionals. Wood sealers are either solvent-based or made from natural oils, and when they are applied, they soak into the wood, and then seal it. When you use penetrating sealers that are made from either pure tung oil — also called China wood oil — or linseed oil, they will actually help to make the wood harder as they dry. Acid-Cured — also called Swedish — finishes are the ultimate in strength, durability and protection, and they will keep your hardwood flooring beautiful for years to come. This unique technique involves the use of alcohol-based sealers and acid curing to create a finish that manufacturers say is up to 10 times more durable than conventional finishes. Wax used to be the main way that wood floors were refinished, but it still remains a great option today. Many people choose wax finishes because they provide the durability you need, but they’re also easy to apply and provide a low-sheen look to the floors. Keep in mind that wax will probably make your wood flooring look slightly darker, but you can avoid this by applying a base coat of sanding sealer or shellac before applying the wax. An aluminum oxide finish is not an option unless you’re investing in prefinished wood flooring. This extremely durable and hard finish can’t be applied yourself, but it’s important to take note of the finishing your flooring has, even if it was prefinished, just in case you need to refinish it someday. This is because floors with aluminum oxide finishes require the use of special techniques for refinishing, and you’ll definitely need to hire a professional. As you can see, when it comes to choosing a finish for your hardwood flooring, you have a lot of options to choose from. But, the good news is that our hardwood flooring installers in New Jersey are here to help. Not only will we ensure that your flooring gets installed properly the first time, but when you take advantage of our free design consultations, our experts will help you pick out the perfect flooring for your home, needs and budget. Schedule your free design consultation today!